Defense Minister Ryamizard Ryacudu surprised his Australian hosts — and his own colleagues — with a blunt warning against any attempts to support the Free Papua Movement (OPM) in the country’s easternmost territory. The former Army chief issued the warning during a joint press conference alongside Foreign Minister Retno LP Marsudi and their respective Australian counterparts, Marise Payne and Julie Bishop. Without entering into specifics, Ryamizard reminded “other countries” to refrain from encouraging separatist movements in resource-rich Papua, hinting that serious consequences would entail if Indonesia’s position were ignored. 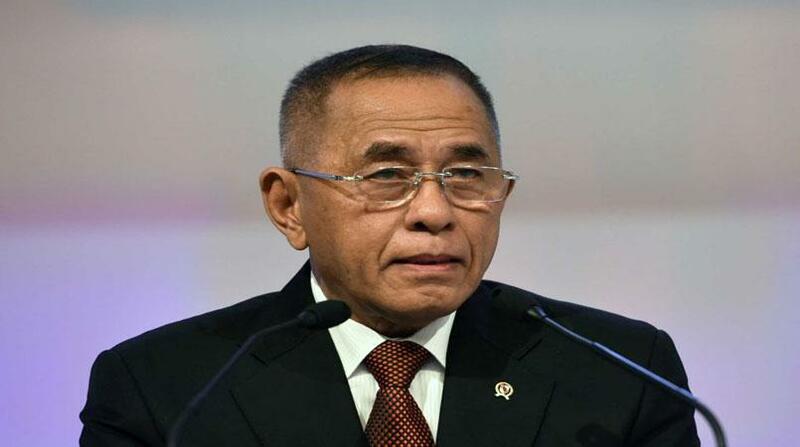 The 64-year-old retired army general, who during his stint as Army chief became notorious for cracking down on separatist movements in Aceh and Papua, appeared to have weighed his comments carefully. An Australian journalist attempted to ascertain whether Ryamizard was implying that Indonesia suspected its neighbor Australia of interference in Papua, but he would not be drawn. Members of the Australian Green Party, commonly known as the Greens, are vocal supporters of Papuan independence from Indonesia. “I would like to close on this point. It is a point that is very troubling for Indonesia, because Indonesia never meddles in the affairs of other countries, and likewise, we don’t want others to meddle in ours, or try and divide us. With regard to Papua, certain countries are meddling, and we don’t like it,” Ryamizard told the press briefing. “For us, Papua is still part of the Unitary State of the Indonesian Republic. That’s non-negotiable. [The area] from Aceh to Papua is the jurisdiction of Indonesia. There’s no two ways about it. I hope that’s understood,” he went on. Bishop and Payne subsequently faced questions from reporters as to whether Papua had been a topic of discussion during their meeting with Ryamizard and Retno. “On the issue of Papua, yes, that was part of our discussions. We had a general discussion about regional issues, about Pacific issues, and Australia restated, as we have done on many occasions, publicly and privately, our unconditional support and respect for Indonesia’s sovereignty in this regard,” Bishop said in her answer. Retno, meanwhile, told the press briefing that the Indonesian government appreciated Australia’s “bold” and “strong” position on the issue of Papua. “On Papua, we appreciate very much [the Australian stance]. The position is very bold and it is a strong position of Australia to unconditionally respect the territorial integrity of Indonesia,” Retno said in response to Bishop’s statement. Later on Monday, Ryamizard clarified his comments, insisting he had not meant to attack Australia and pointing out that his counterpart Payne had emphasized Australia’s respect for Indonesia’s sovereignty. His remarks, he said, had been an expression of regret directed at Vanuatu, a Pacific nation that openly supports Papuan separatist movements. “Vanuatu persists in encouraging Melanesian people to reunite. That’s not right, and I disagree with it. This is a unitary nation,” the defense minister said.